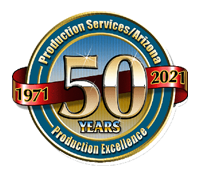 We look forward to serving your needs as we have the needs of companies and individuals for nearly 50 years. Reach out, get in touch and we’ll get back to you as soon as we possibly can. Your inquiry matters to us. Let us know how we can assist you and include your phone if you need a call quickly. Should technology send your email to west Serbia and you don’t hear back in a reasonable time, please call or text us: 602.326.3302. NOTE: If you need a more detailed quote, Please use our quote form HERE. Thank you! Need us immediately? Reach us within seconds by using the form below. We’ll be notified and will respond – assuming we’re not currently involved in a client’s production or meeting. When you hit the SUBMIT button, you’ll be taken back to our home page. You made the first important step – you got in touch with people who care. We’ll be in touch to get you started. Unlike many companies we don’t have complicated, layered and involved points of contact. We have a couple of people whose job it is to quickly keep in touch with new and existing clients. We value our relationship and want you to know we care. Occasionally if we are in a production session with another client or in the field with limited contact, it might add a short amount of time to our response – BUT WE WILL BE IN TOUCH. Is there any other way to get in touch quickly? If your need is immediate or you don’t hear back in a reasonable amount of time, you can use the TEXT feature above to contact us within in a minute (dependent on internet speeds and service). Or, please call or text our field phone and we will probably be available – again assuming we’re not in an isolated situation. 602.326.3302. What is your company's basic service philosophy? Since 1971 we’ve been known for our customer service and care. Our 4.9 Google rating shows this from clients in a variety of industries. Our goal is to provide a variety of needed, related services through one source that will move your project along quickly, efficiently, honestly and at a lower cost. Our many client feedback letters attest to our objective in providing quality service. While I'm waiting, what services do you provide. Most projects required 2,3 or more areas of input so we provide those in one resource. Our full list of services is HERE.